”Happy light year” | Just Visit Siena ! Attractions of the New Year’s Eve in Siena took place in the history center of the city – via Pantaneto, piazza Matteotti e piazza del Campo. ”Happy light year” in Siena with a formula “low cost, high fun” appreciated for the first time a year ago and this year gathered crowd of inhabitants and turists. It must be pointed that certainly didn’t lack musical attractions – singers, musicians, dancers, deejays and street band. And what is important all “made in Siena” and with free admission. Time has passed extremely quickly with concerts, musical performance and karaoke. And then just a countdown seconds to midnight and welcome in euphoria the New Year 2014. 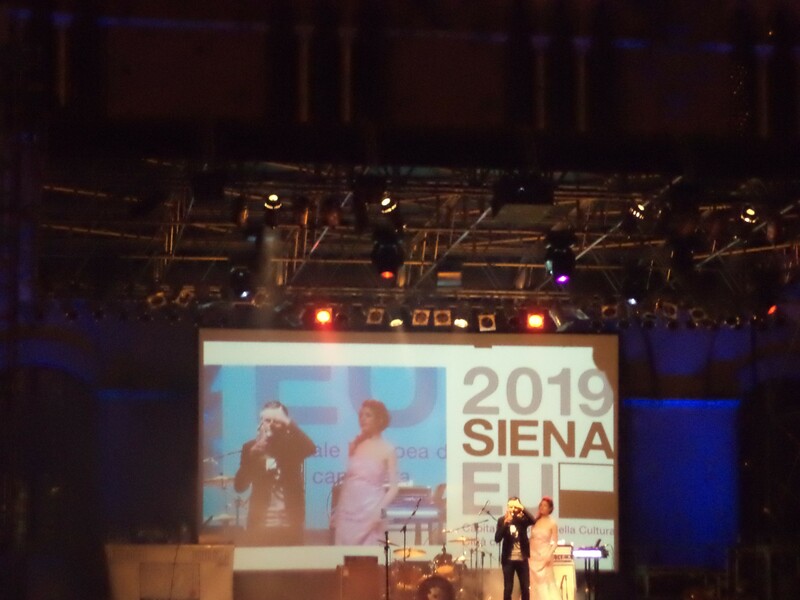 For sure one of the biggest attraction was the projection on the big screen in “Boy of Europe”, the famous song by Gianna Nannini (Italian singer, born in Siena) repeated in a live version of a few years ago. After midnight we had a great fun with the biggest musical hits. Like this Siena an officially candidate to European Capital of Culture 2019 and its inhabitants entered New Year 2014. By the way I want to say thank you to my 939 followers and all visitors for all your comments, mails, support. It was a pleasure to write for you since 23rd October 2013. I am motivated to write more and more and more ! So have a Happy New Year 2014 ! I wish you a lot of happiness, joy, love and to visit Tuscany!